For more information on our range of bikes, call in store or get in contact with The Bike Clinic today. The Bike Clinic is a family run business. We take extreme pride in everything we do. Personal service and over twenty years’ experience has led Bike Clinic to be the West of Irelands No 1 bike shop. Michael Kilcourse, a cyclist all his life, established Bike Clinic in 1988 out of his sheer love of the sport. Later joined by his two sons, Paul and Michael Jnr who now both run the business, they have continued on the tradition of an honest, first class, personal service for each and every customer. Michael Snr can still be found in the shop keeping a close eye on everything with his ever faithful red setter's by his side. Choose from an excellent range of bikes, with something to suit everybody. Click here to find out more. 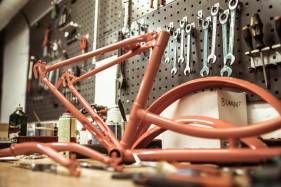 From puncture repairs, to bike servicing, we take care of it all. Click here to find out more. 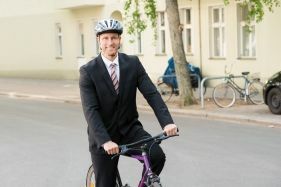 Get your bike for a fraction of the cost with the new bike to work scheme! Click here to find out more.